My GT has front disc brakes, and I have to really push the pedal hard to stop because the brakes do not really grab the rotors. The Calipers are working ok. I have not taken it apart yet. What have you found best for pads? I do not want metal specs floating around. What has your experience taught you? Organic Brakes pads I have found work the best without making noise and barely wear your brake rotors...though they may wear a bit faster than Semi-Metallic Pads, I have found them to be the best. Semi-Metallic Pads stop well, but wear the Rotors more and also make noise. Pads with Kevlar I have tried also....I literally hated them... I had to be Superman in order to stop the brakes..and their Fade resistance was absolutely horrible. Go for the Fully Organic Pads... That's my Advice.. and you'll be happy.. I am using organic D11 pads on my Kelsey Hayes / SSBC combo to save my rotors. They make a little dust but it washes off easily. If your rear brakes are drum and the springs are really old you may benefit from new hardware there, and if brake hoses are old, they swell and flex and can even burst. Beyond that, an adjustable proportioning valve can help balance your brakes. Manual brakes take more effort anyhow. There are aftermarket low profile boosters for disc/drum and disc/disc setups for those of us getting long in the tooth or just want that more modern squeeze. 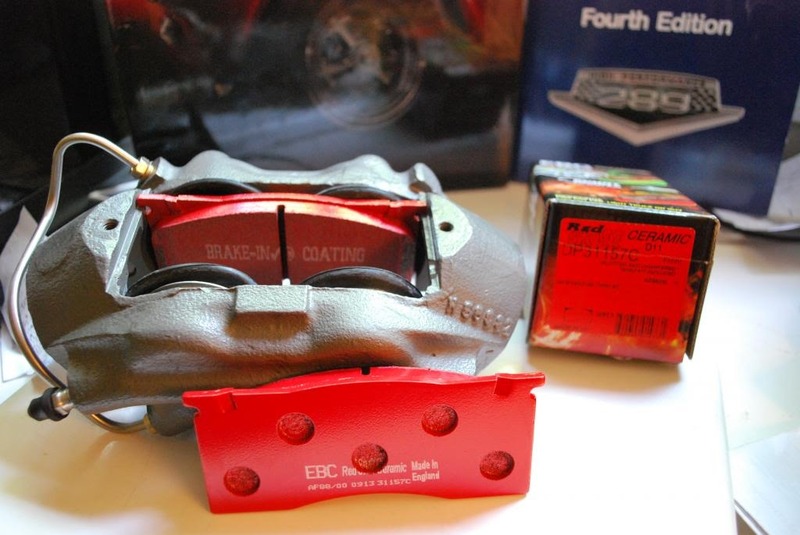 I switched from OEM to EBC redstuff 3000 ceramic pads. They are pricey but I could feel an improved of braking performance. No issues with noise or anything. I personally would not go cheap on brake pads. 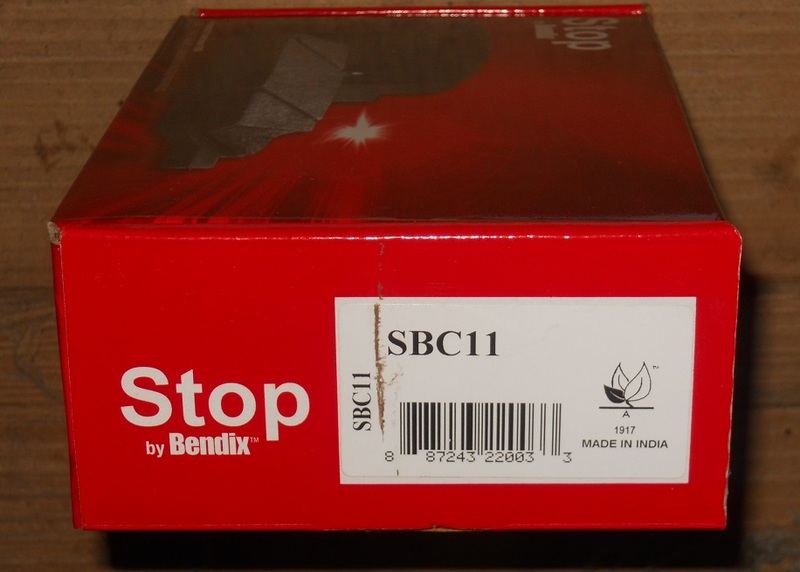 It is an important component to stop your car. zray and poqman like this. High-performance brake pads can help, but if you currently have to stand on your pedal to stop the car, your problem goes beyond pads. I have non-power discs with factory style pads on my Mach 1 and stopping the car hard requires little effort. Even my old '69 Cougar with non-power drums all around was easy to stop. You might wan't to check your brake system; master cylinder, distribution block, proportioning valve. And, are you certain the calipers are working perfectly? control is far better than any drum setup (unless the drums were just maintenanced 5 seconds ago). Like someone else said, don't cheap out on disc pads. The crap at the chain stores is just that. bowled over with enthusiasm for them when I was in the brake industry though. the rotor. Most brake material relies mainly on friction. As the drill sergeant said, "I taught you everything you know. I didn't teach you everything I know." I rebuilt my front and rear brakes and had to stand on the pedal just to get the car to slow down from 15 mph. I used SSBC's slotted rotors up front and a stock drum setup on the rear. The front pads were a set of semi-metallic that came with the rotors. I adjusted the rear and re-bled the entire system and had no change. I decided to put a set of EBC Yellow pads on the front, and the first time out, no changes other than the pads, I could lock up the front tires with about 1/2 the pressure I was previously using to try to stop the car. I am not sure how they will affect the rotor wear, but mine is not a DD and they are not the original rotors so that is not a worry for me. They do make a little dust, but it just rinses off my clear coated rims. The most important part, I have complete confidence in how my car stops now. it may be more than the Op is looking for, but for me, when it's not sitting in a parking lot at a show, I do a little "spirited" driving. Drag racing only requires that you be able to slow down/stop at the end of the strip. I am looking forward to doing a little parking lot Autocross events, so performance braking with the factory setup was much desired. 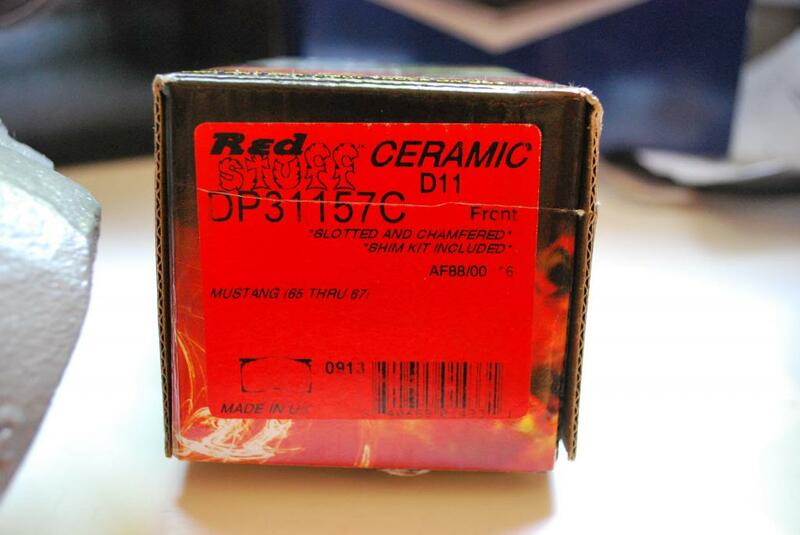 Last edited by 69GT350H; 04-14-2019 at 02:35 PM. the ebc redstuff pads have worked very very well for me. Safe & straight stops from over 100 mph (repeatedly), with no fade or drama. Many people here who drive 10,000 miles yearly on their classic Mustang also are using them with great results. There's probably an equal number using the Porterfield R4-s pads. Either choice is going to be a substantial improvement over the stock OEM pads, or any pad included in the aftermarket brake kits. Whatever you choose, be sure to have your rotors re-surfaced for maximum effectiveness. Do those kick off a lot of dust? Had an ebc set of pads on my truck and just tossed them. They kicked off too much dust. I can’t remember what version they were. 1st off look at the pads and see if they are wearing evenly. Great pads aren't going to reduce effort by a great amount. Pushing "hard" is very much relative, I hope you don't mean pushing far as in pedal fading away. Anything should at least have the ability to start slowing you before anything close to what I'd call hard. You might try de-glazing or re-bedding them. There are a few methods to do this which include repeated stops from a good speed to get everything hot and stinky then driving enough to cool them usually helps anything revive its initial bite. Before doing that, test on a loose or wet surface where a hard tromp at low speeds should produce a short skid or at least mild whiplash with any pad, even a hard dry surface for that matter. Also to make sure the rears aren't doing most of the work. I've got the red EBC. I switch from the stock SSBC pads and the difference was very noticable. I have no problem with cold stops and no problem with high speed stops. Also I have not noticed any excessive brake dust. Very happy with them. Yes, I forgot to mention Ceramics. They are really good too.. They are a bit harder than Organic Pads, but stop very well and are also satisfying..
EBC Red Stuff for me too, I think I am on my third season with them. They stop great, no noise, and are very low dust, my wheels stay clean.